Uniform: Outward Bound branded uniform provided by Berghaus. This scheme allows you to have your medical case notes reviewed by experts for a second opinion in specific cases. Access to Private Medical Treatment at a reduced cost. Fixed price package of private healthcare treatment – quoted up-front. Half-way house between private medical insurance and paying full price for private care. Counselling, Advice or Health & well being advisory service. Season Ticket Loans : these are available to any member of staff who is employed on a contract lasting longer than one year. You can apply for a season ticket loan to buy an annual travel ticket. Pension scheme: Providing you are between 22 and state pension age you will be auto-enrolled after 3 months service into a Standard Life pension scheme. A minimum contribution of 3% of your salary is required, and The Trust will also pay in an additional 3%. Life assurance: 3 x salary, covered from start date, including Employee Assistance helpline. Summer Adventure discounts: One free place on a 19-day summer adventure and 75% off any 7-day programme, for close family members. Extended/unpaid leave: Outward Bound has a positive and flexible attitude when it comes to extended/unpaid leave, especially when it comes to pursuing your own adventures. However, you do need to have worked for us for a while before you can put an application in! Working at Ullswater/Howtown, staff live in Penrith or in the surrounding villages outside of the National Park, with others travelling from Kendal or Carlisle. The local community is spread out across the valley. Outside of work, there are opportunities to be members of the Ullswater Lake Rescue team or Patterdale or Penrith Mountain Rescue teams. There is a sailing club at Pooley Bridge. Depending on the weather and seasons, as well as your personal preference, you can walk, bike and run on the fells and mountains; climb on anything from sandstone outcrops in the Eden Valley to mountain crags on Scafell and Esk Buttress; or paddle and sail the lakes and rivers. There are local orienteering, fell running and climbing clubs. The centre is situated 15 minutes drive from the M6 and Penrith train station. Windermere, Ambleside and Keswick are all within 40 minutes drive. Further afield you are well situated to access Yorkshire’s caves, and the bigger mountains and rivers of Scotland. Penrith is a small market town and has a range of shops, a cinema, amateur dramatics as well as a range of places to eat out. Working at the Aberdovey centre, staff live either in the village or in the surrounding areas of Tywyn and Machynlleth. Aberdovey has a thriving village community and a fantastic micro-climate - with above average sunshine hours and below average rainfall compared to the surrounding vicinity! The large town of Aberystwyth is just a 45 minute drive away. A member of Aberdovey Players (if you are into amateur dramatics) who produce the infamous annual village pantomime. The village is ideally located on the southern edge of Snowdonia National Park, with access to various mountain ranges – Plynlimon’s, Cadair Idris, Arans, and Rhinogs. Within an hour and a half you can drive to the Brecon Beacons, and Black Mountains of South Wales, as well as the mountains of North Wales, all great areas for walking. Mountain biking enthusiasts are well served in the area with Coed y Brenin and Machynlleth offering various mountain biking trails and cross country routes. Aberdovey boasts a fantastic 5 mile long beach which is great for kite surfing. There is a cinema in Tywyn. If you are into climbing then there are good sea cliffs to be had in both Pembrokeshire and Anglesey, there are classic climbing venues in North Wales with the nearest being Tremadoc which is north of the centre. The Meirionnydd climbing guide is the local guide for the area. If kayaking and canoeing are your thing then the nearest grade three is ten minutes drive away on the River Dulas. The Welsh Rivers guide is good for describing the many mid and north Wales rivers close by. If rainfall is low then the there are two dam release rivers in the region - the Trywern and the Clywedog. For sea paddling then the centre is based on the Cardiganshire coastline; to the south are stunning cliff line paddles and to the north surf beaches (check out the storm riders guide for the area). If you want tidal races then you have a choice of many in Pembrokeshire, Anglesey, Bardsey, and Menai strates. Working at Loch Eil, staff live either at the Centre, Fort William or surrounding villages such as Spean Bridge. Fort William, in the heart of Lochaber, is the ‘Outdoor Capital of the UK’ and is 7 miles from the Centre. This is the nearest major town for shopping and socialising and things to do include a leisure centre with swimming pool, bouldering wall, squash courts and gym, a large hall complex with bowling alley, venue for the Mountain Festival held in February each year and music events. Once a week over the winter instructors usually visit the Ice Factor at Kinlochleven which has a rock and ice wall for climbers. The city of Inverness is 2 hours away and Glasgow 3 hours. Active local clubs in the area are musical, singing, Lochaber Athletics Club famous for its hill runners and for hosting the Ben Nevis race every September, West Highland Wheelers including both summer time trials and winter mountain bike races, new Sailing Club facilities at Lochaber Yacht club which has members who both cruise and dinghy sail, and a Canoe Club who both river paddle and sea journey. Just north of Fort William is Nevis Range a resort that hosts mountain biking and the world famous Downhill Cup course during the summer, and skiing and snowboarding in the winter. Ben Nevis, the highest mountain in Britain, dominates the area. The mountain attracts many walkers and climbers, and the winter scene is famous around the world. The ports of Mallaig and Oban are about one hour’s drive away. From here you can take ferries to the fantastic Western Isles, offering sea kayaking, climbing and walking venues of a unique nature. Staff live in the local villages of Eskdale and Gosforth, or further afield within the Lake District National Park and travel in, making use of the staff accommodation whilst working. The local community is spread out across the valley and becomes a thriving tourist spot in the summer months. Outside of work, there are opportunities to join the Wasdale Mountain Rescue team, West Cumbria Mountaineering Club and Copeland Canoe Club, as well as, a multitude of other clubs in the area from cricket teams to amateur dramatics societies, pilates and karate. 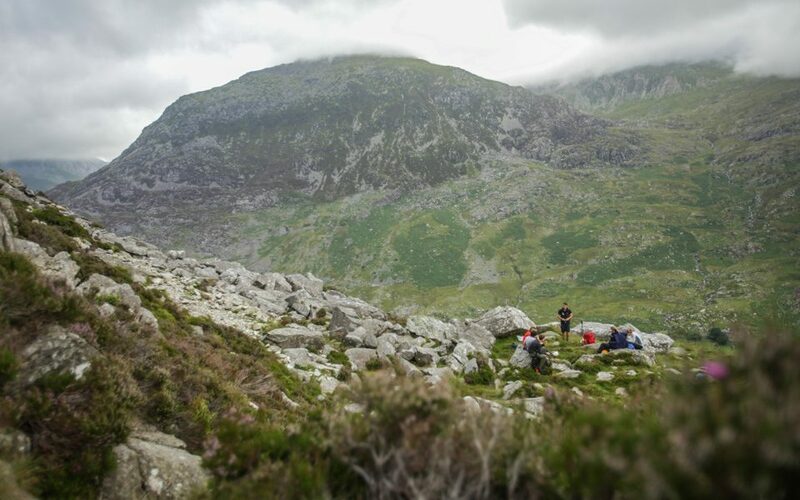 Depending on the weather and seasons, as well as your personal preference, you can walk, bike and run on the fells and mountains; climb on anything from the high mountain crags on Scafell to Eskdale’s roadside granite outcrops; paddle the local lakes and rivers; or sail from one of the coastal ports. The centre is situated in a quiet corner of the south western lakes, 60 minutes drive from the M6 and 15 minutes from Ravenglass train station. The Duddon and Wasdale valleys are just a short drive away, with Langdale and Ambleside a little further over the Hardknott and Wrynose passes. The coastal town of Whitehaven is within 30 minutes drive and has a range of shops, places to eat out and socialise.